Umrah is a pilgrimage to Makkah. It is the performance of the religious rites as illustrated in the Holy Quran and as physically demonstrated by our Holy Prophet (PBUH). At Travelex International , Hajj & Umah Services we have a specialized and motivated team of experts dedicated to the task of ensuring that our group of guests of Allah (SWT) perform all the rites of Umrah in safety, comfort and care. 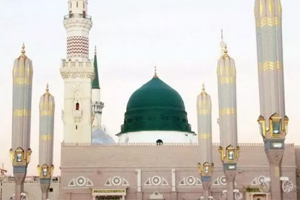 We have the privilege to offer and provide the best of services related to the noble and comfortable performance of your Umrah, We have the very best Umrah packages and services for our Muslim brothers and sisters. Our trips are all professionally managed and organised by ourselves. Our Umrah prices are excellent and there is no compromise on attention and level of service to our hajjis. Excellent hotel accommodation next to Harems. Transportation during the entire Hajj/Umrah movement within the blessed places is arranged in air-conditioned luxury Coaches. Free religious guides and books maps lectures. 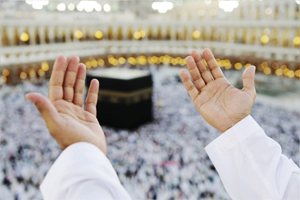 Travelex International Hajj and Umrah have undertaken the commitment with full keenness and dedication to provide amicable and comfortable environment for the guests of Allah (SWT). Our goal is doing all that we can to fulfill the Hajjis dreams and aspirations of performing Hajj visiting the Makkah Mukkaramah and Medina Munarawah in safety comfort and care. At Travelex International Hajj & Umrah Services our objective is to provide the very best and the most reliable Hajj & Umrah Services for our Muslim brothers & Sisters. At Travelex International we are dedicated to our Hujjaj clients all the way. We ensure that your Hajj or Umrah is professionally organized, making sure that you & your family are in complete Safety Comfort and Care for the entirety of your journey. Travelex International provide the most “Professional Services” to the pilgrims who wish to perform Umrah, catering all categories of affordability & luxuries, according to the budget of each family or group of pilgrims. For further information or a quote please contact us personally.